Atletico Madrid could step up their interest to re-sign Thibaut Courtois from Chelsea next summer, should Jan Oblak pursue a fresh challenge elsewhere. The Slovenia international has been linked with a big-money move to Paris Saint-Germain, who are prepared to trigger the £89m release clause in his contract. According to Spanish outlet AS, the Madrid giants are preparing for the worst situation, if Oblak refuses to commit to a new contract which would include an increased escape clause. The Slovakian has been the backbone behind Atleti’s improved defensive record in recent years, but the former Benfica man has yet to taste anything in terms of trophy success. As a result, the 24-year-old is likely to re-evaluate his future at the end of the season with Les Parisiens on the search for a new shot-stopper who can take over the gloves from Alphonse Areola, who is still prone of making mistakes. 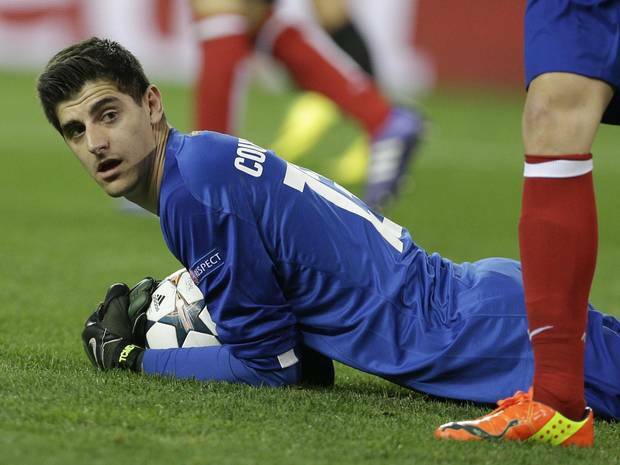 Chelsea’s Thibaut Courtois spent three seasons on loan with Atletico Madrid between 2011 and 2014, and Atleti are said to have identified the Belgian as a potential replacement owing to his contract standoff at Stamford Bridge. The Belgium international is currently demanding a wage package of around £205,000-a-week, and talks over the extension are yet to progress despite the shot-stopper approaching the final 18 months of his Blues contract. Courtois took over the gloves from Petr Cech during the 2014/15 season, and he has since been hugely influential between the sticks, helping the club achieve Premier League success in two of the last three campaigns. Blues boss Antonio Conte has also spoken about the risk of losing one of the best shot-stoppers in the world, but the Blues’ hierarchy appear set to wait until the summer before resuming talks with the 25-year-old. Atletico Madrid and Chelsea face each other in the final Champions League group game next month, and Oblak will have to play to the best of his abilities with his side in desperate need of three points. AS Roma face an easier looking fixture against Qarabag in the other outing, but Atleti will hope that the Azerbaijani champions spring an upset to the Giallorossi.